H BMW θέλοντας και αυτή να πει με τη σειρά της χρόνια πολλά στα 50στα γενέθλια της 911, έδωσε στη δημοσιότητα αυτές τις φωτογραφίες στις οποίες πρωταγωνιστούν μια 911 πρώτης γενιάς καθώς και ένα κλασσικό MINI. 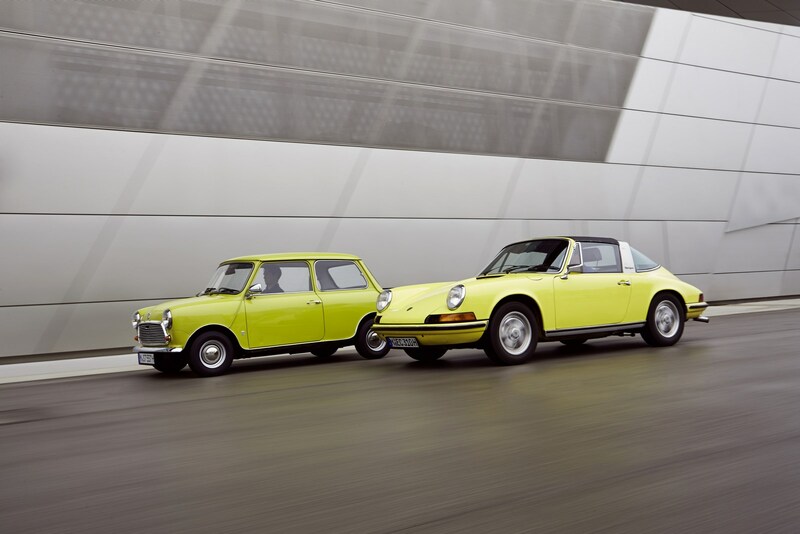 Forever young: The classic Mini congratulates the Porsche 911 on its 50th birthday. 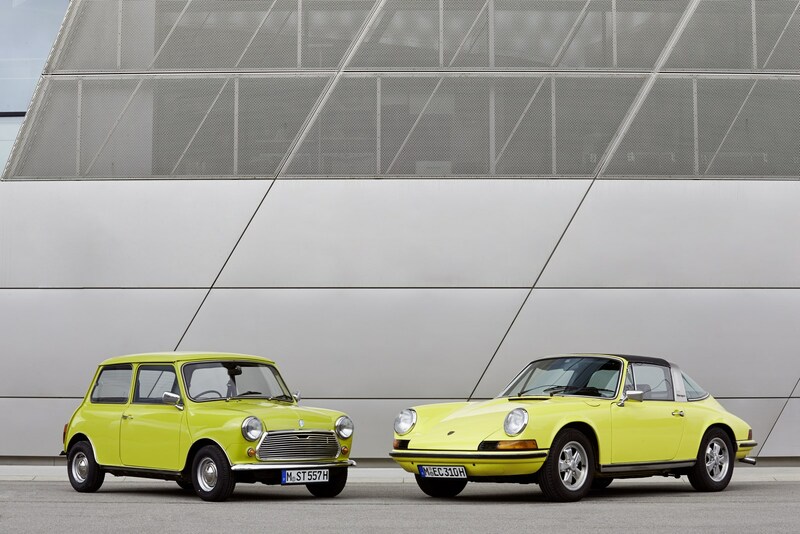 Munich.In September 2013 the flag-bearer of the German sports car fraternity, the Porsche 911, will celebrate its 50th birthday. 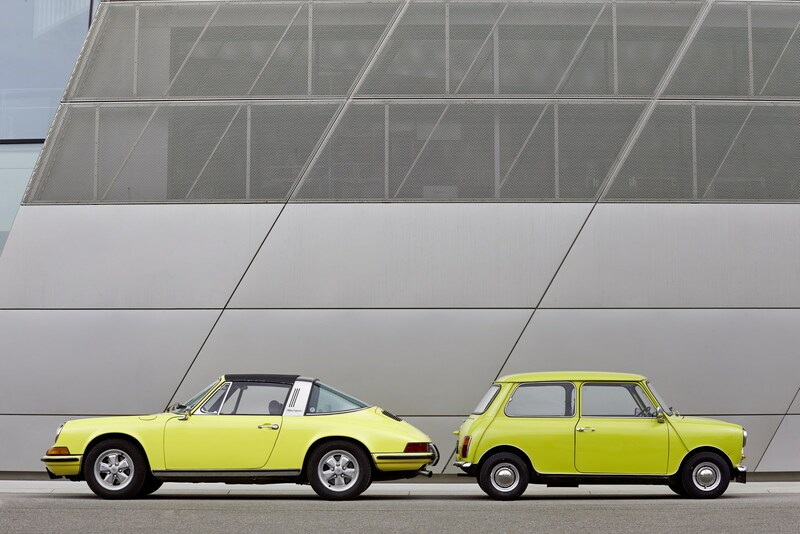 And among the hoards of well-wishers will be MINI, not least because its model history also includes – in the classic Mini – a similarly compelling work of art characterised by a similar reluctance to abandon the exuberance of youth. 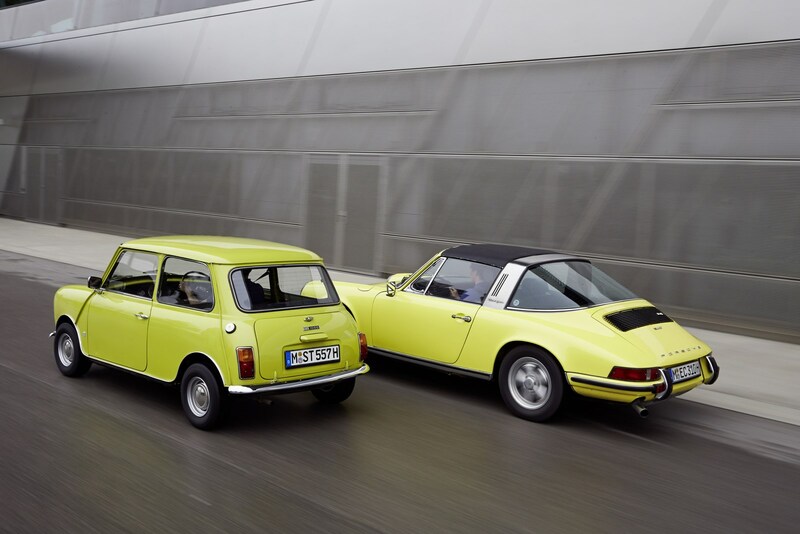 It may be the fundamental differences between the two cars (e.g. 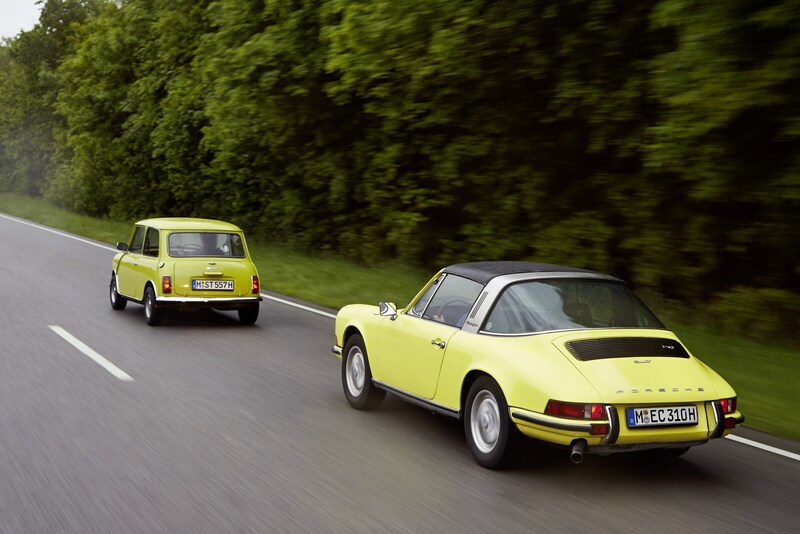 the Mini has its engine in the front, the 911 at the rear) that dominate at first glance. 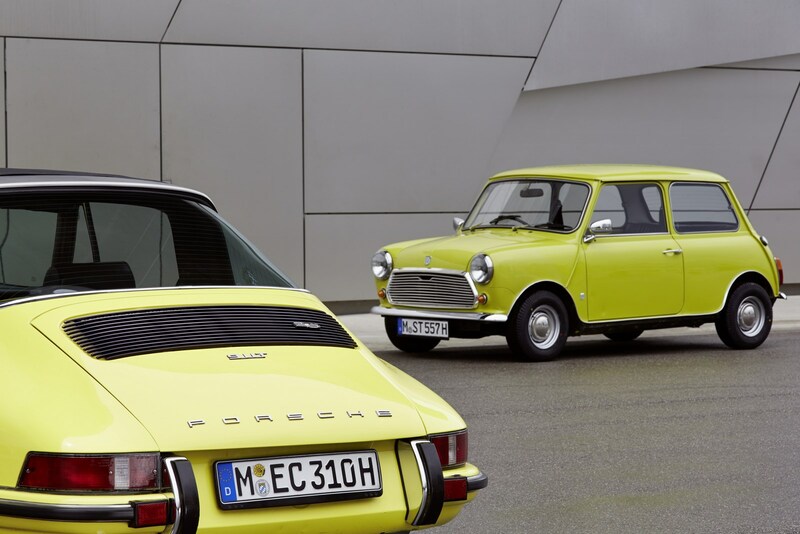 But there are also a number of factors – over and above their shared cult status – that lend particular empathy to MINI’s birthday greetings. 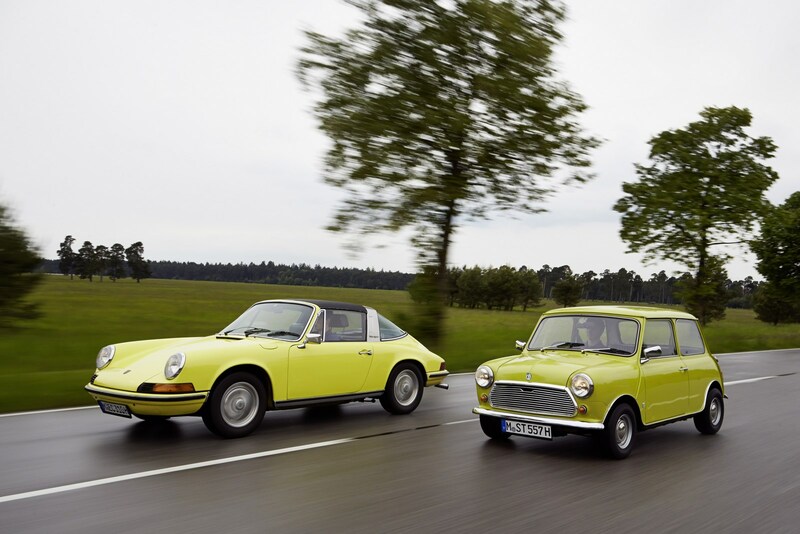 Both models made their name with an eye-catching turn of speed. 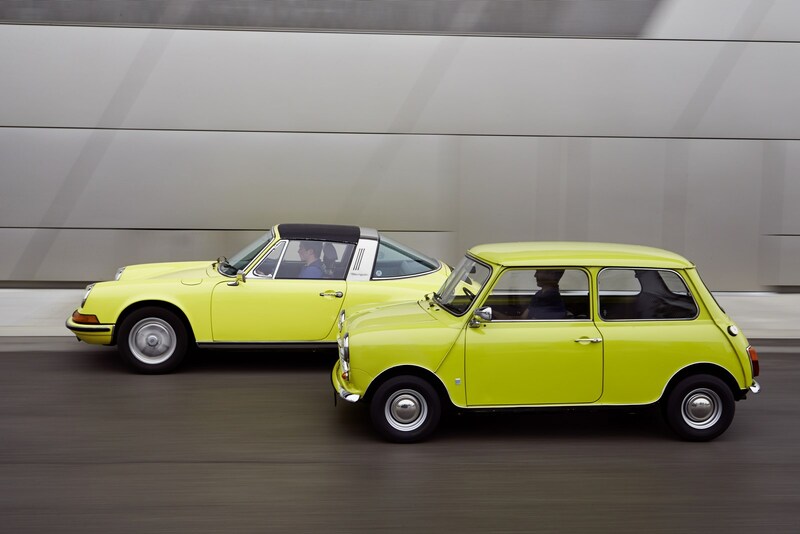 At the end of the austere 1950s Mini was the ground-breaking new kid on the block, generating sales figures that mimicked the upward curve of its acceleration. 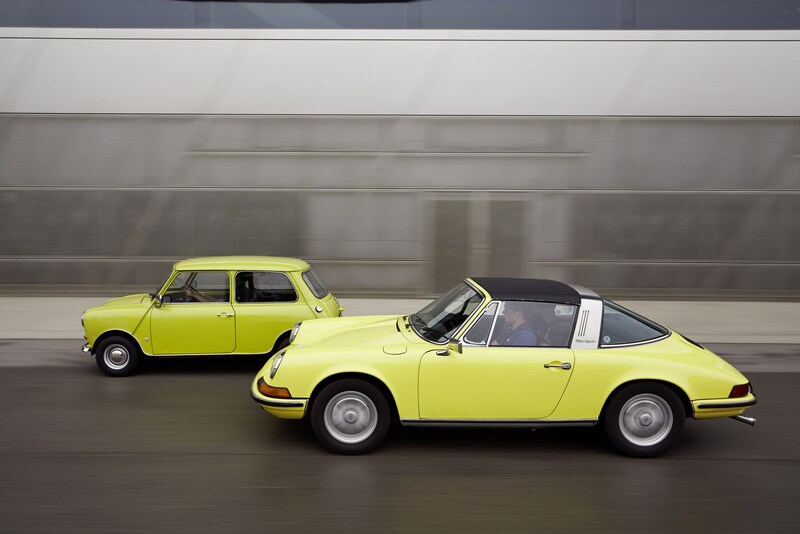 The 911, as the successor to the Porsche 356, was born with speed in its blood. 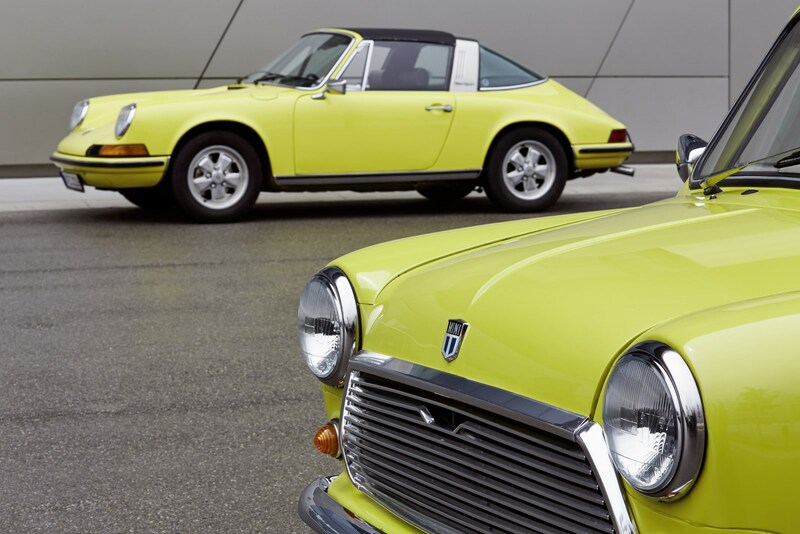 Only a handful of cars can claim to have endured over such lengthy time spans, retaining their unmistakable identities despite all the nips, tucks and updates along the way. When major landmarks like a 50th come into view, it’s traditional to look back over the birthday boy’s childhood. 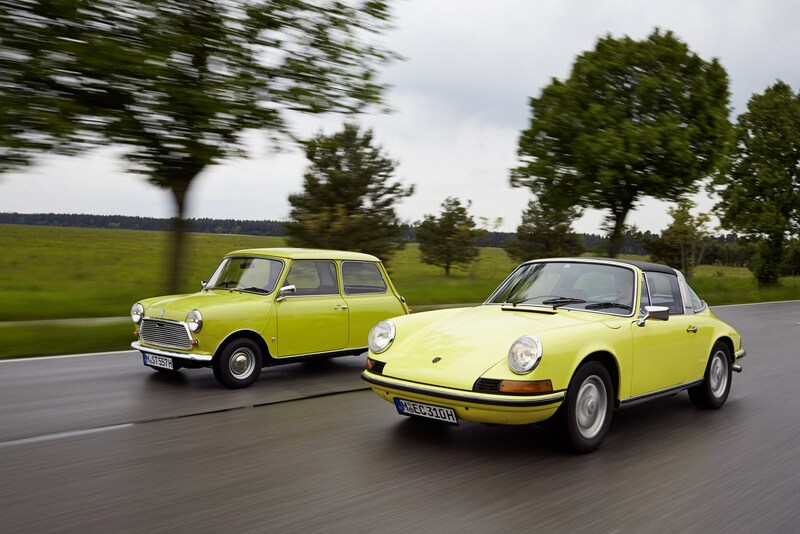 Although the Mini and Porsche 911 may not be cars you would instinctively compare, there are one or two striking aspects of their history that have brought them together over time – a less than straightforward christening, for example. 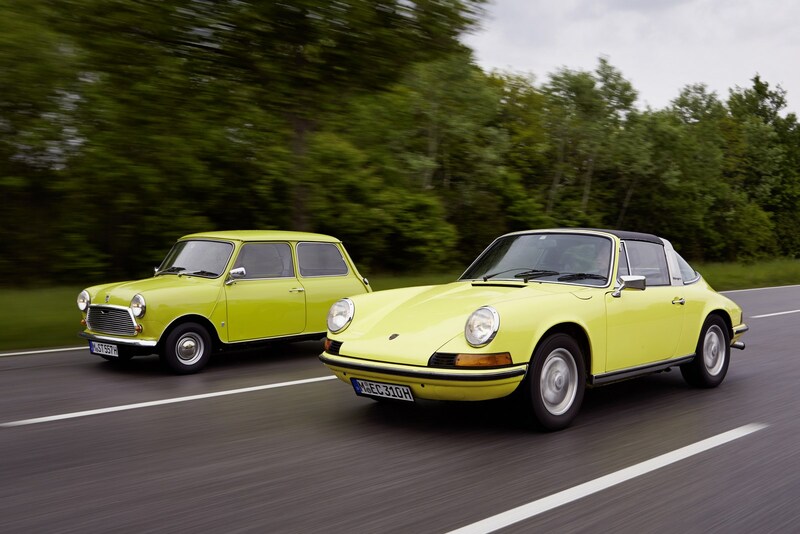 The 911 came into the world in 1963 initially as the Porsche 901. However, the rights to using a zero in the middle of a three-digit car designation had already been snapped up by French manufacturer Peugeot. 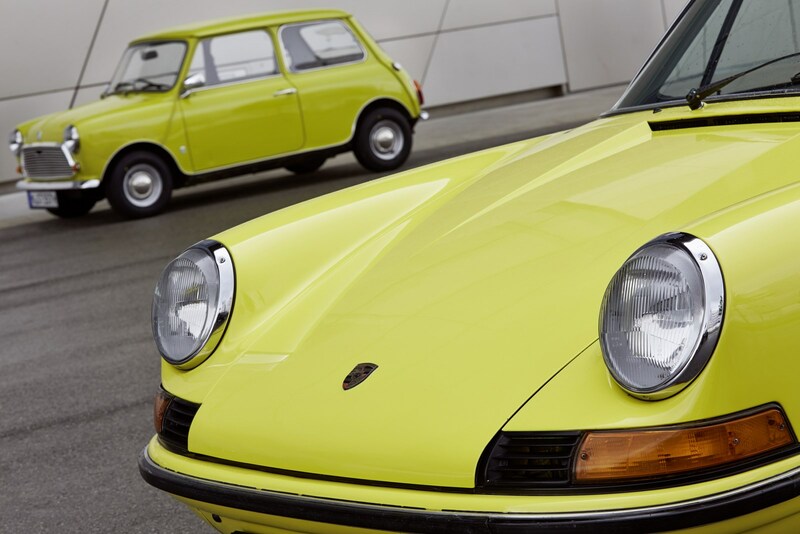 Which meant that when this legendary-sports car-to-be eventually arrived on the scene a year later, it was as the Porsche 911. It is unlikely the use of the number one to fill the gap was a coincidence. Fittingly, it remains the no. 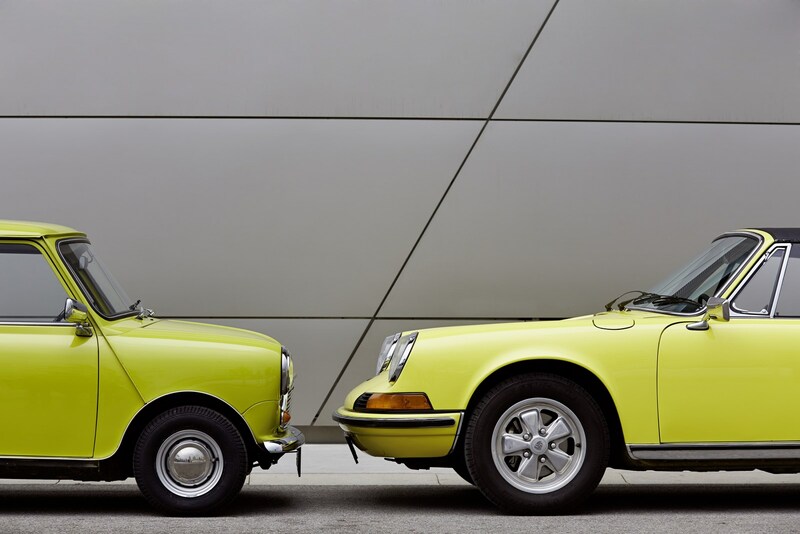 1 in its class to this day; now in its seventh generation, the 911 has sold over 800,000 units – a figure beyond the reach of any segment rival. 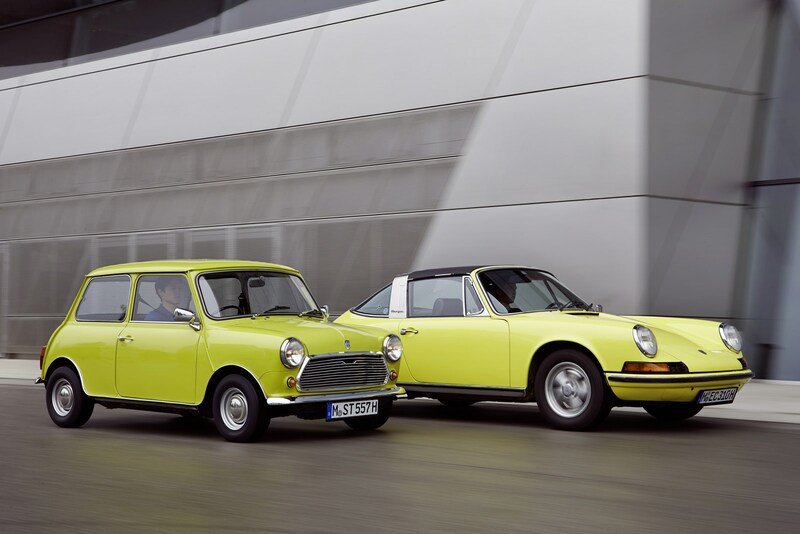 The Mini, by contrast, saw the light of day as twins. 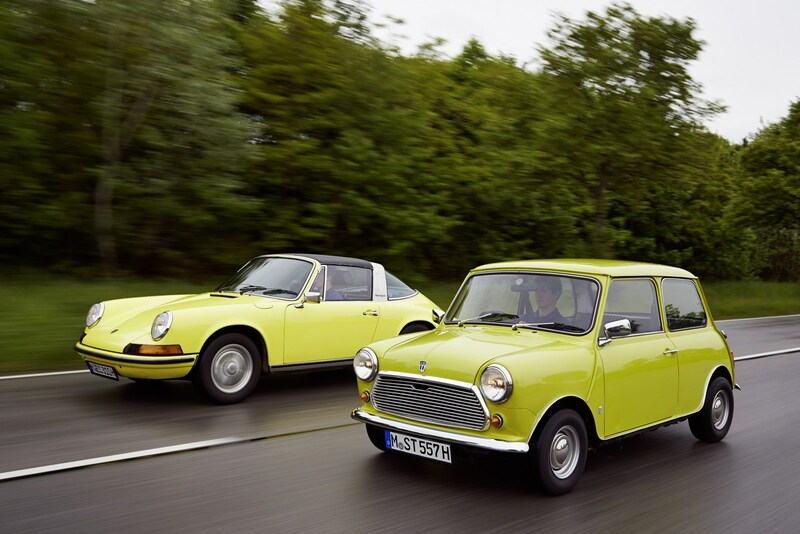 On 26 August 1959 the British Motor Corporation (BMC) unveiled the fruits of its endeavours to develop a revolutionary new small car – introducing the public to not one but two new models: the Morris Mini-Minor and Austin Seven. Everyone now knows which name ultimately made the cut. 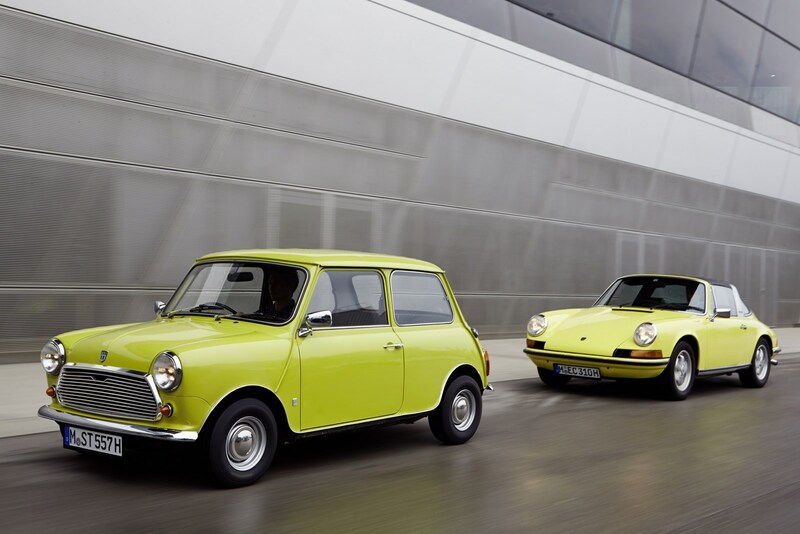 As for the classic Mini’s sales figures: by 2000, when the curtain came down on production, 5.3 million units of Britain’s best-selling car had found homes. 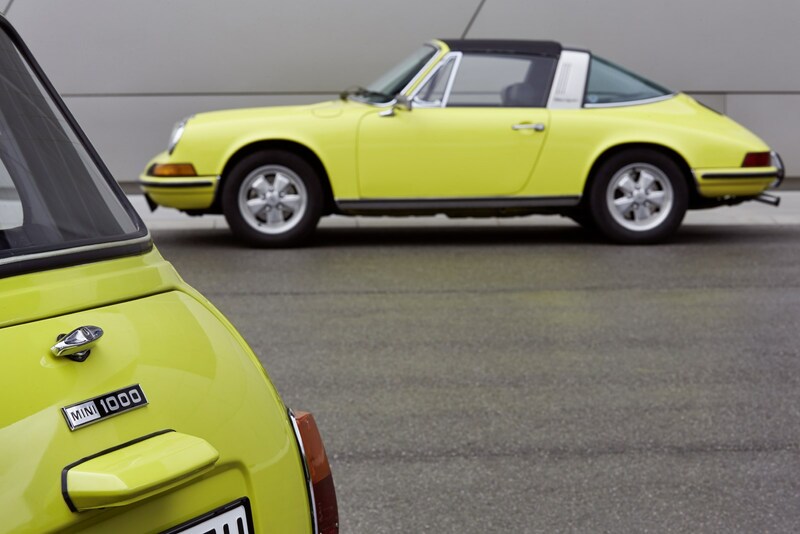 It’s tempting to wonder how different history would have been without the creators of these two successful cars. 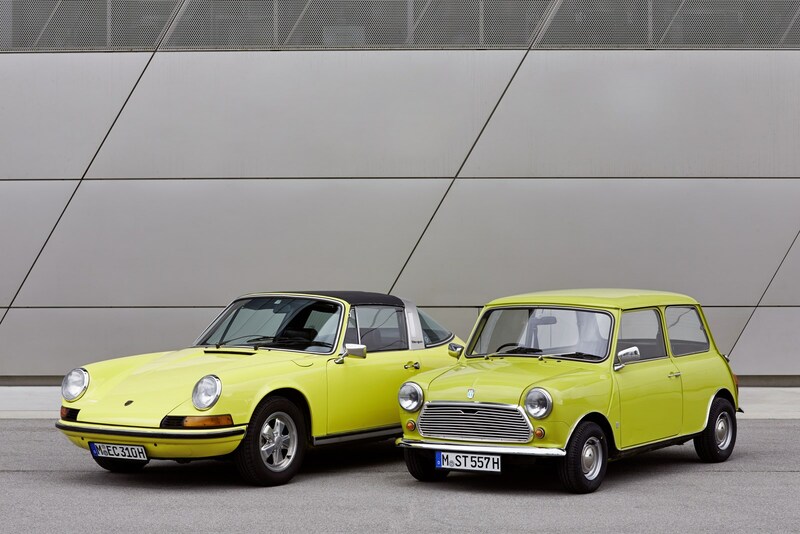 Neither Sir Alec Issigonis nor Ferdinand Alexander Porsche had any inkling that their designs would come to be considered immortal icons of modern times. 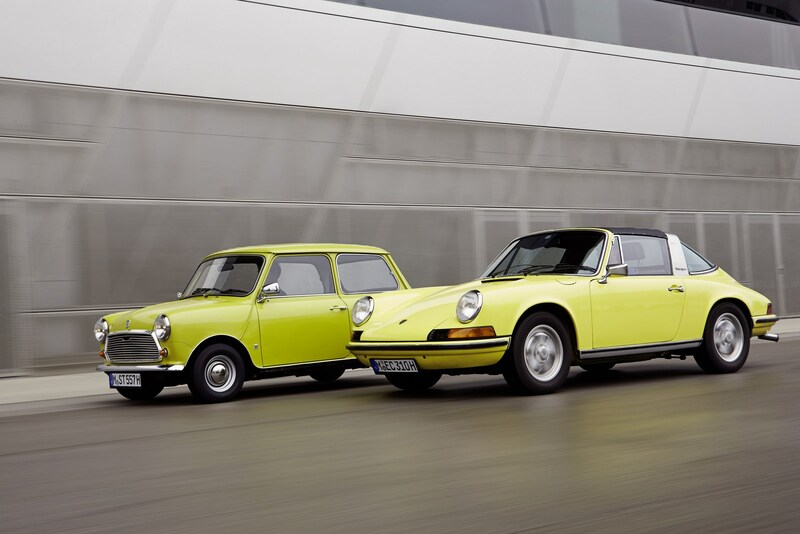 Indeed, you would have needed a very clear crystal ball to see that Porsche had just dreamt up the most successful sports car of all time and Issigonis the “world’s only cool small car”. 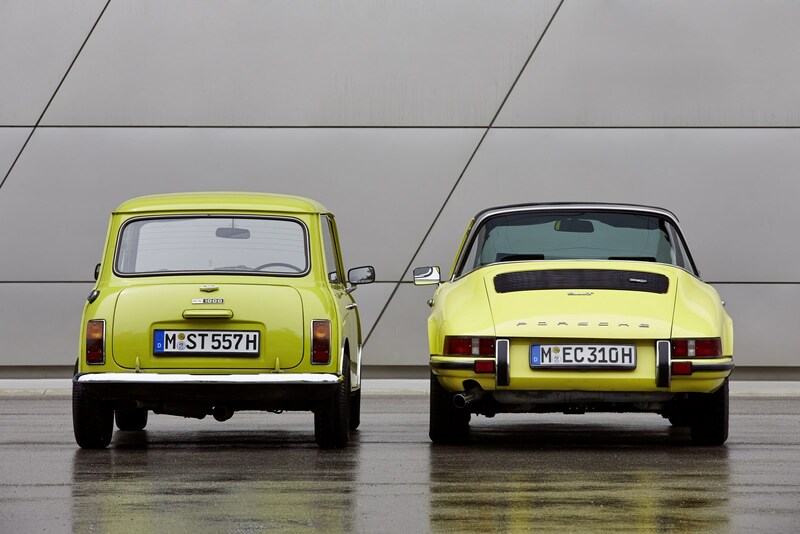 The parallels don’t end there, either, the classic Mini and Porsche 911 displaying a similar aversion to resting on their laurels. 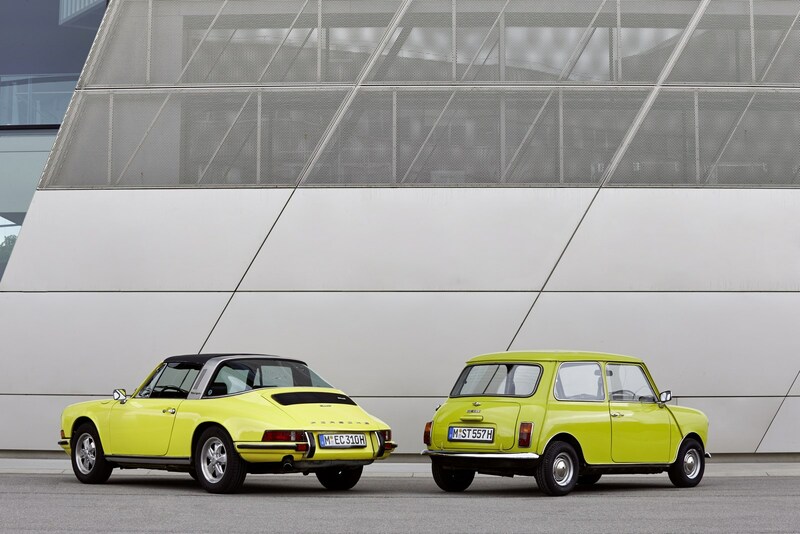 Both cars made a point of keeping their finger on the pulse and appealing to the imagination more effectively than any rivals. 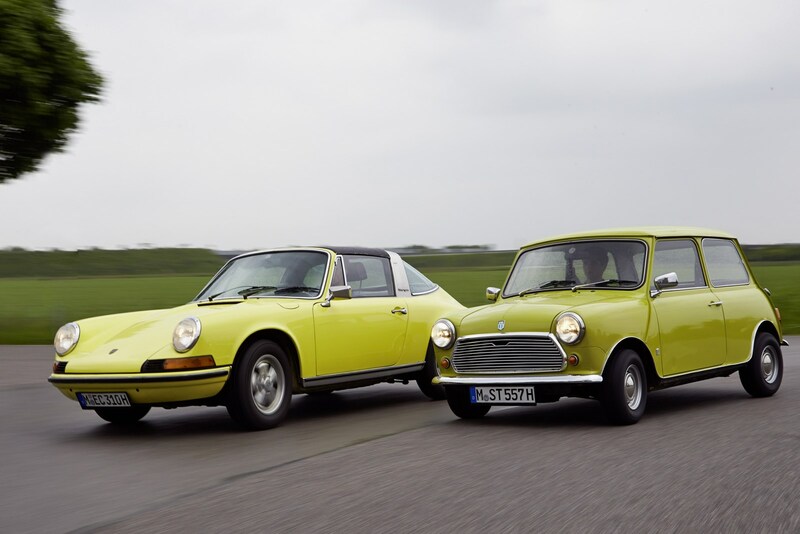 Not that every modification enjoyed universal praise – take the switch from air cooling to water cooling at Porsche or the extra focus on comfort and luxury of the first MINI built by BMW. 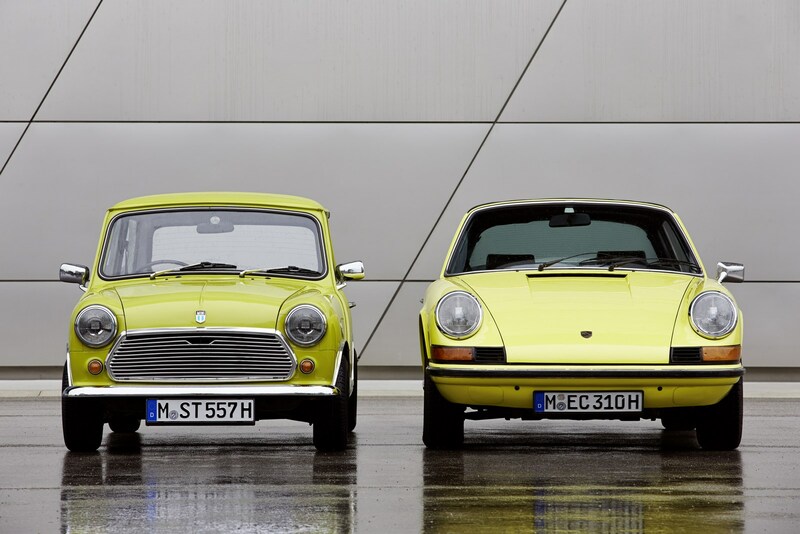 Ultimately, though, these two pillars of the automotive community have continued to thrive, their sound genes underpinning looks that remain remarkably true to their respective originals. The two companies have also demonstrated an open mind to adding new models to their ranges – and a successful approach to executing those plans. 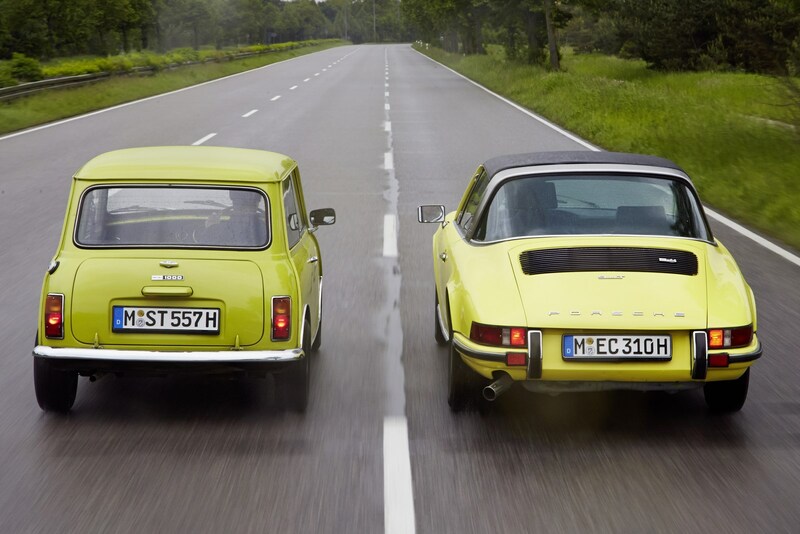 In many respects, the Panamera and Cayenne broke through similarly symbolic boundaries as the Countryman and Paceman. 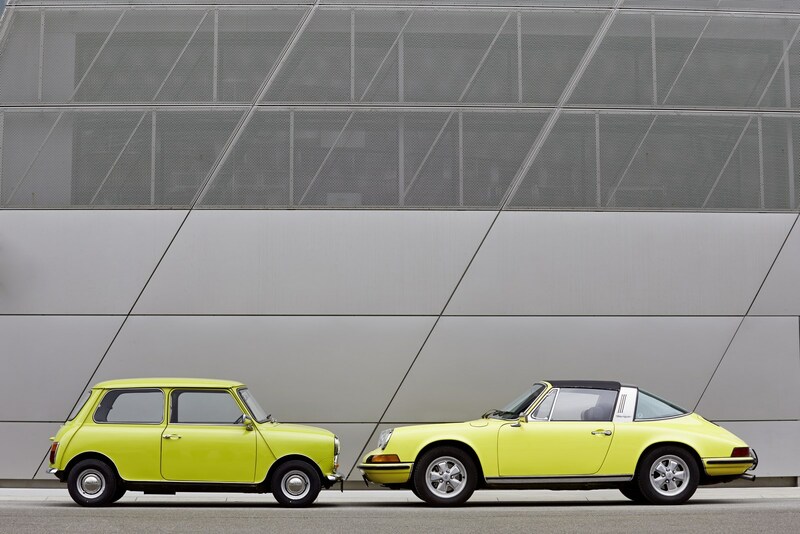 What hasn’t changed is the “regal” sense of driving pleasure on offer in both brand’s cars. 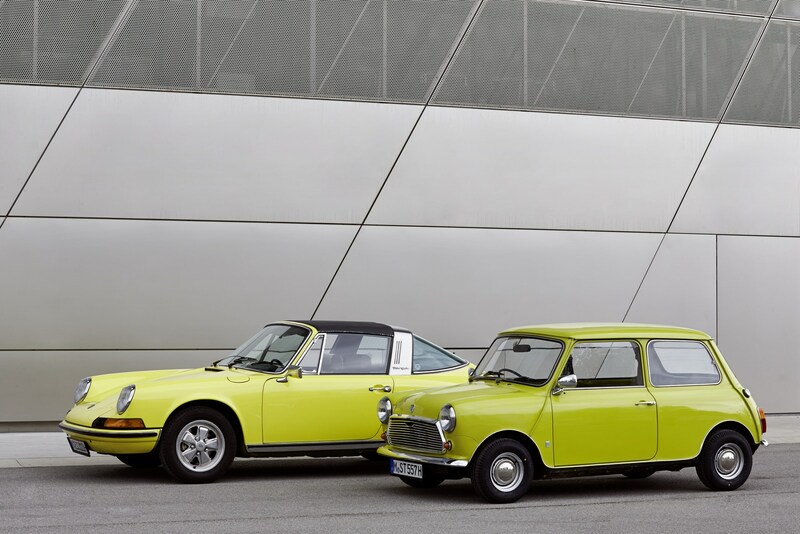 In 1960 Lord Snowdon, then husband to Princess Margaret, used his influence to arrange an opportunity for his friend Issigonis to demonstrate the small car’s talents to Queen Elizabeth. 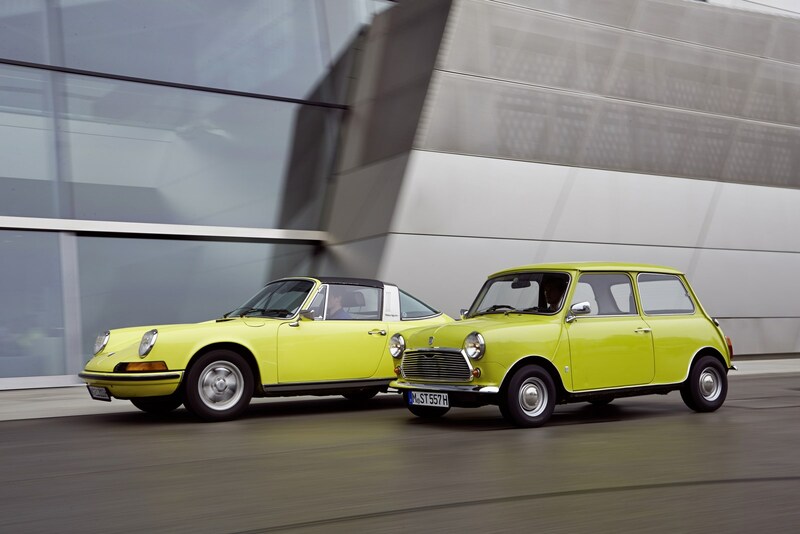 Settling in next to Issigonis, Her Majesty allowed the Mini’s creator to chauffeur her around the grounds of Windsor Castle. 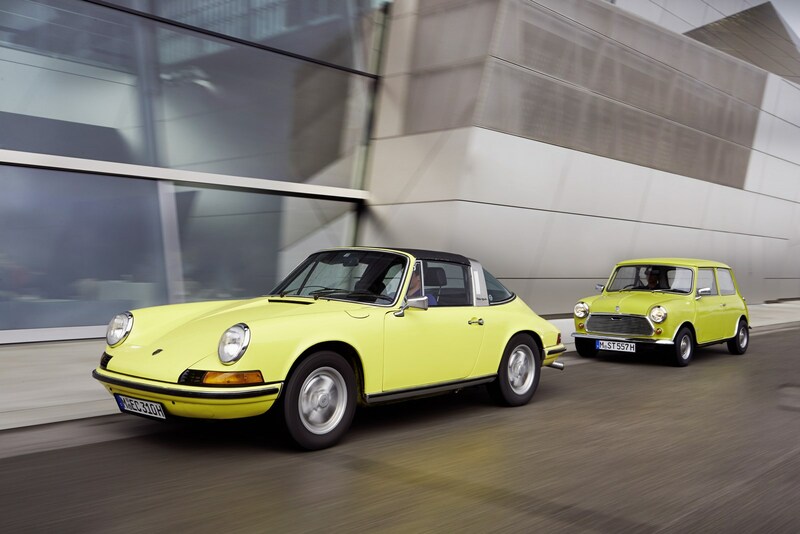 There is also a quasi-royal element to Porsche’s heritage, albeit in the spelling of a famous surname rather than the person of the British monarch; the slate grey 911 driven by Steve McQueen in the film “Le Mans” – and later owned by the Hollywood star – has earned a deserved place in automotive eternity. 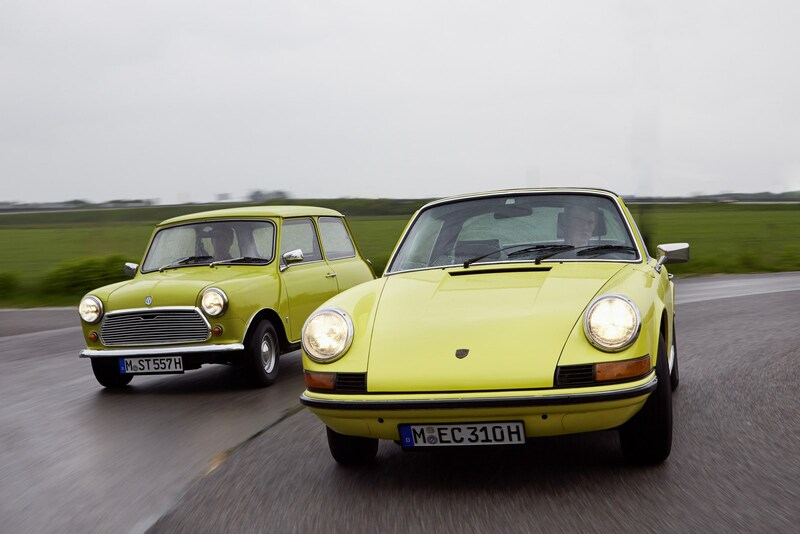 Motorsport occupies a key chapter in the histories of both Porsche and Mini. 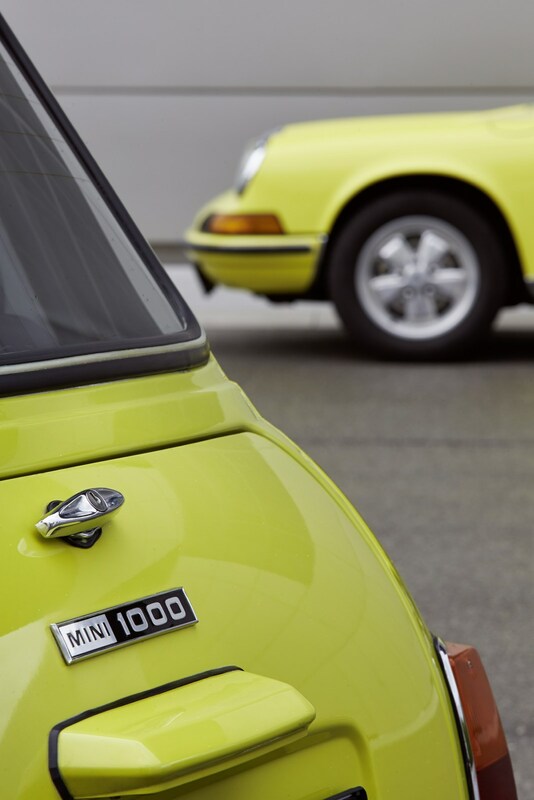 The 911 in its track-tuned permutations is the most successful racing car ever built. 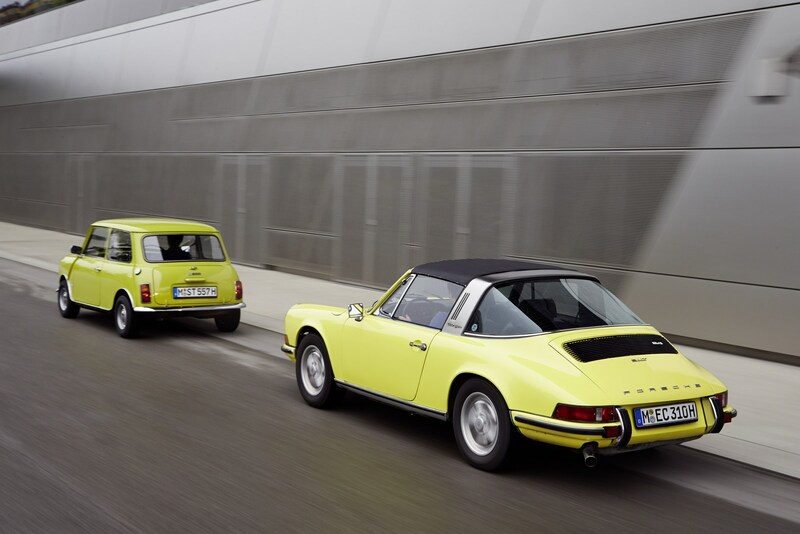 Practically every race of any note has been won by a 911 on one occasion or other. 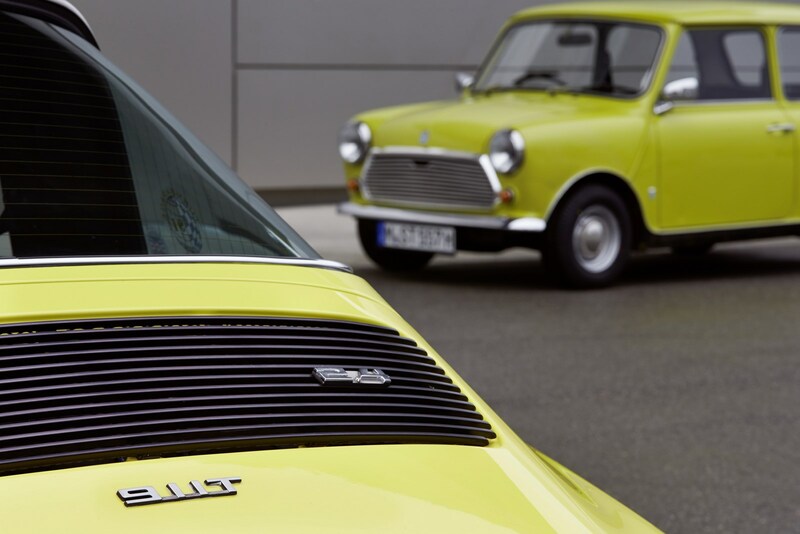 And no memory of the 1960s can be complete without images of the MINI Cooper S roaring into view. The darling of the sixties avant-garde was not only something of a phenomenon on the road, its class victory in the 1963 Monte Carlo Rally in the hands of Finnish driver Rauno Aaltonen kicked off a peerless run of success on the motor sport scene that reached its pinnacle with three overall wins in the Monte in 1964, 1965 and 1967. 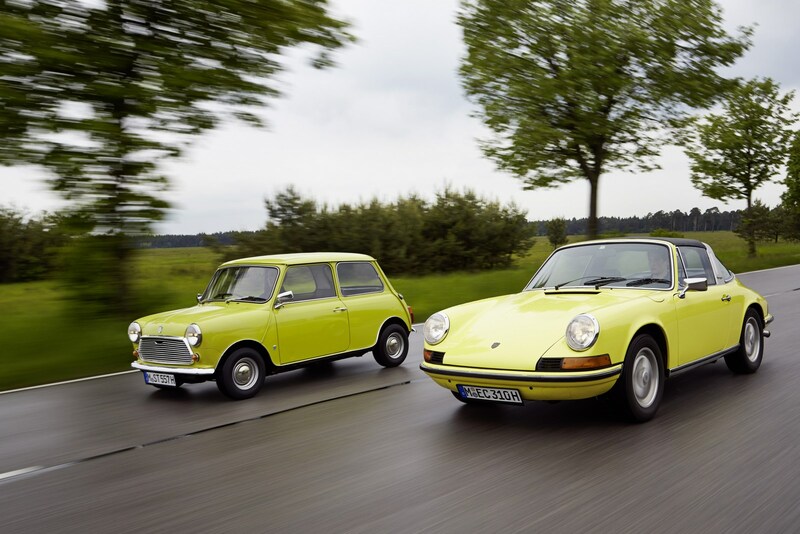 Several decades later – in 2010 – David and Goliath were to go head-to-head “for real” when Jim McDowell, then MINI’s top man in the USA, challenged Porsche to a race-off at the Road Atlanta circuit. 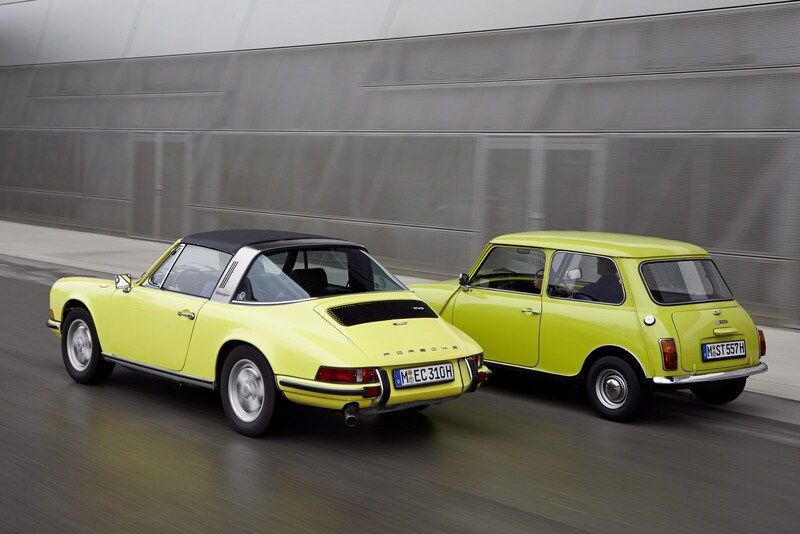 The proposition would see a 184 hp MINI Cooper S lining up against a 345 hp Porsche 911 Carrera. So to make it a worthwhile match-up there had to be a twist; instead of using the full circuit for the race, the two cars would do battle over the smaller infield track. 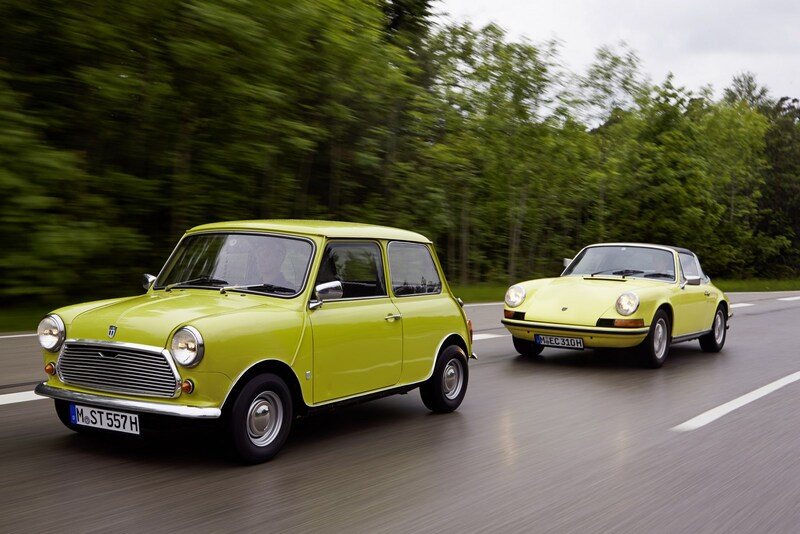 Extremely tight and twisty and lacking any long straights, it offered a chink of light to the MINI with its insatiable appetite for corners. 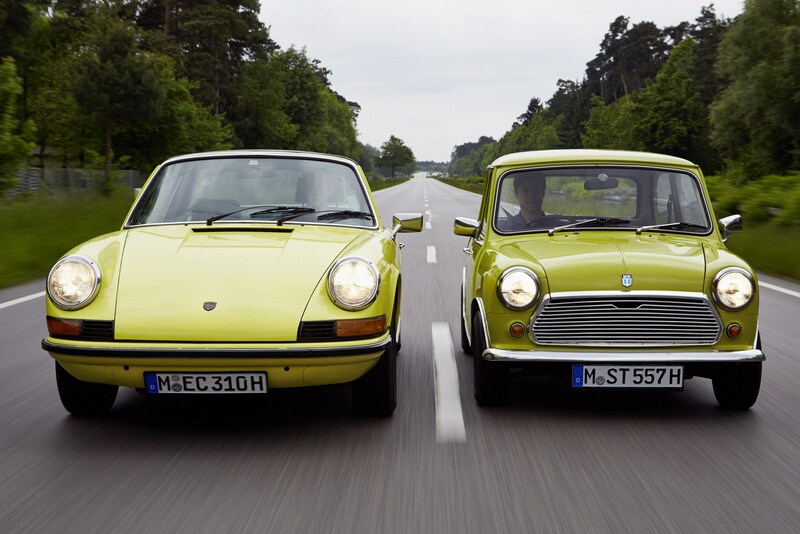 The 911 still managed to maintain an advantage of around two seconds over its plucky challenger, but trackside boffins calculated that each of those seconds would cost a Porsche driver 38,000 US dollars given the disparity in purchase prices. 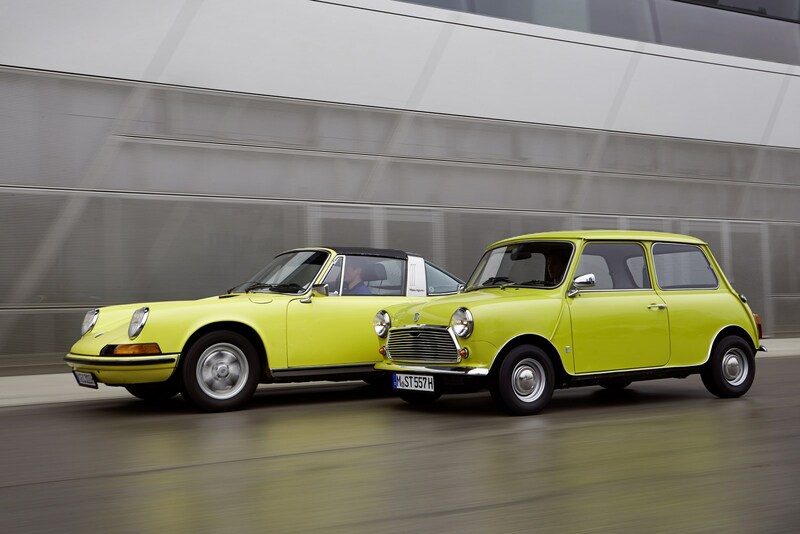 And, for MINI fans that took some of the sting out of its defeat in this not entirely serious race.